There have been some bizarre guest appearances at Lernerville over the years, but perhaps none in recent memory was more bizarre than Tim McCreadie’s sudden appearance in Brian Swartzlander’s backup car. 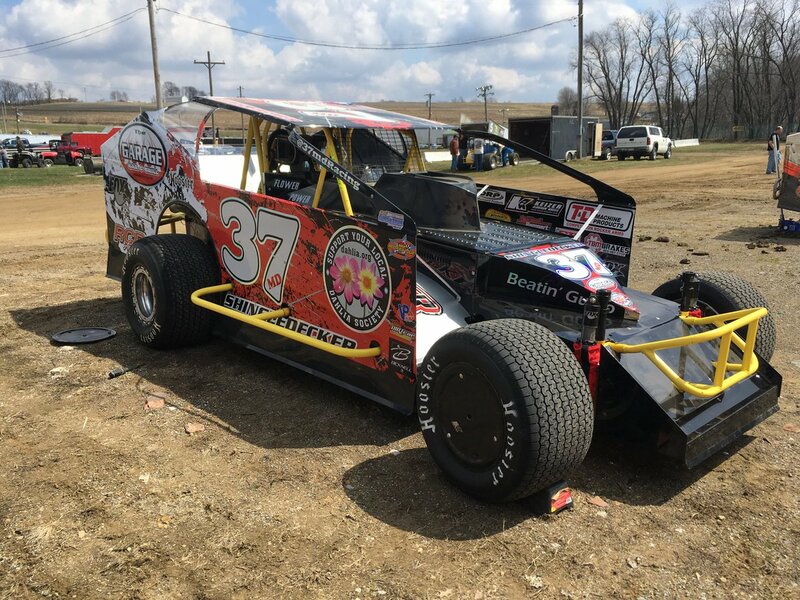 The Watertown, NY driver found himself rained out at his scheduled Lucas Oil Late Model event at Sharon Speedway, and ventured south to take on the modifieds in a unique twist. 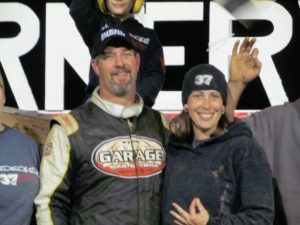 His likely victory probably seemed like a forgone conclusion to many fans in attendance as the feature came to the green flag, but he still had to get around three cars in twenty five laps from his fourth starting spot. One of those cars belonged to Jeremiah Shingledecker and he had no intention of letting anyone get around him on this night. 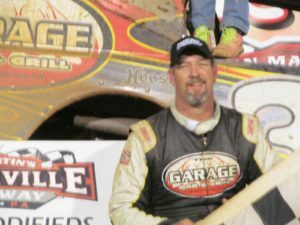 Shingledecker shared the front row alongside Rodney Beltz as the action got underway and he quickly asserted himself as the man to beat, taking the early lead while McCreadie firmly positioned himself directly behind him in the early going. Behind them, Dave Murdick, Garrett Krummert, Kevin Bolland and Mat Williamson made up a formidable chase pack in the early going. 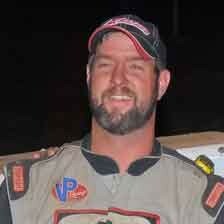 The quick mover was Willimson who seemingly picked up one spot after another in the early laps. Out front Shingledecker and McCreadie began the battle for the lead as lapped traffic came into the equation on lap eight. Shingledecker used all available groves to get around the back markers and did so effectively as he put distance between himself and McCreadie as the halfway point approached. Then with Rick Regalski’s car the next to potentially go a lap down, McCreadie made his move and almost got around Shingledecker as McCreadie’s car worked with precision in turns three and four. Shingledecker was able to finally get around Regalski as the laps wound down and then made his way past Mike Turner in much quicker fashion that McCreadie would be able to moments later. The action then came to a halt on lap 19 when Steve Feder and Brian Swartzlander brought the red flag. Both drivers were unscathed in the incident, and the stage was set for a six lap shootout that saw Shingledecker elect the high side where he had not spent too much time in early green flag laps. The move paid off as Shingledecker got a great restart not once but twice as he elected the top side restart following a caution for Rex King Sr. on lap 20. When action resumed, Shingledecker took a comfortable lead across the finish line for his 50th career victory and his first since May of 2014.